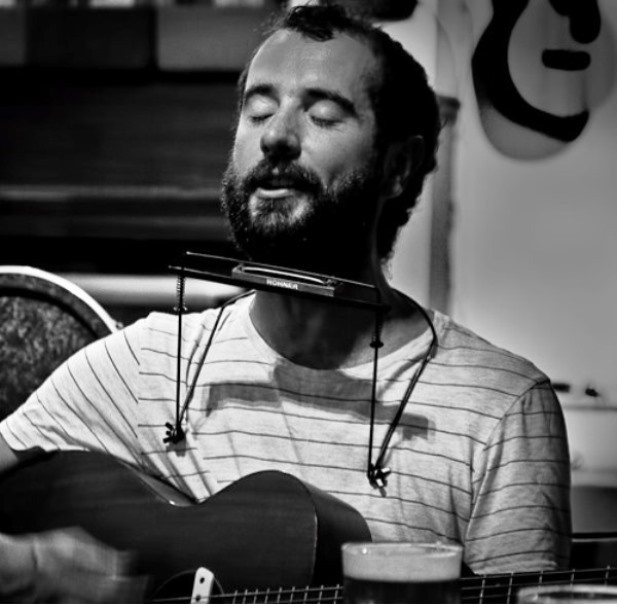 Andy Hickie is a Folk Singer focusing on Welsh language and Irish traditional songs. Armed with his banjo guitar and harmonica Andy is true to his roots and takes pride in reviving and sharing folk songs . Hosting various folk / acoustic clubs and venues Andy considers himself to be a ‘Community musician’ providing a platform for others bringing people together and creating a sense of community that every ‘public house’ once possessed. These events are called ‘A Gathering Of Folk’ where a collective of singers and musicians come together to perform share and learn from one another.